How do you become a leader at work? Well, for starters there are no easy paths. Each person must find their own way. Of course, there are some things you can do in order to get there. These are some that I feel is important for you to know in order to be a leader at work. What do you say ‘no’ to? Many people look at this differently. Some people say it is about integrity and knowing your values. Well, yes. And I would add that it is also about what you want to pay attention to. Your ‘nos’ guides you towards your ‘yes’. It allows you to draw a boundary of what you refuse to trade. It is about taking a stand, not just on issues relating to work. But also relating to your personal values. Leaders know when and what to say ‘no’ to. When you understand what you will say ‘no’ to, it’s a step to become a leader at work. 2. How Do You Treat People? Most people believe that to become a leader at work, you need to be pushy and rude. They believe that only when you are aggressive and take a hard stance on people will you be able to climb to the top. Don’t buy into these pop ideas of you need to be pushy to be leaders. It is hard to be soft. And soft doesn’t mean weak. Learn to listen to people more and talk less. Be nice to people and learn to empathize. That’s how you can learn to become a leader at work. Learn to accommodate changes. No, in fact, learn to love changes. What does it mean? It means whenever there are any changes to the plan, there is no need to over react. Learn that change is the only constant and that no matter what there will be things that will not go according to plan. I call this calmness under challenging situations. If something is not going right with the situation, do the best possible to tackle it. Learn to adapt. Some people like to throw their tempers when things go wrong. That need not be the way a leader reacts. Does it sound like torture? Almost all leaders that you read about work really hard. You need to learn to outwork yourself, if you want t become a leader at work. There is no need to compare yourself to someone else. Learn to compete with yourself instead. How hard can you work? How much are you willing to sacrifice in order to become a leader at work? Remember, leaders lead by example and exemplary actions are the hallmarks of a leader. There are a lot more things you can do in order to become a leader at work. Learn to hone your own skills by experimenting and executing these. Add more to your arsenal as you progress. It is never too early to start developing leadership skills. Learn to develop the skills to bring out the leader in you. Leadership is sometimes described as a set of behaviors. Learn how to identify good leadership characteristics. 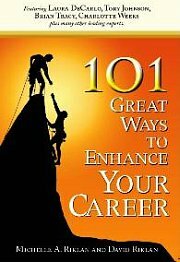 For more articles related to how to become a leader at work, click here.